100 SCULPTORS OF TOMORROW will be an insightful, diverse, and inspiring survey of emerging and unknown talent working in the field of sculpture, selected by a distinguished and knowledgeable panel of international jurors, and is the culmination of a major undertaking to identify the 100 most exciting, up-and-coming sculptors presently at work. It is the follow-up to the groundbreaking and highly-regarded publication 100 PAINTERS OF TOMORROW, which went on to launch many artists’ careers and is still a leading resource on some of the most important emerging painters working today worldwide. 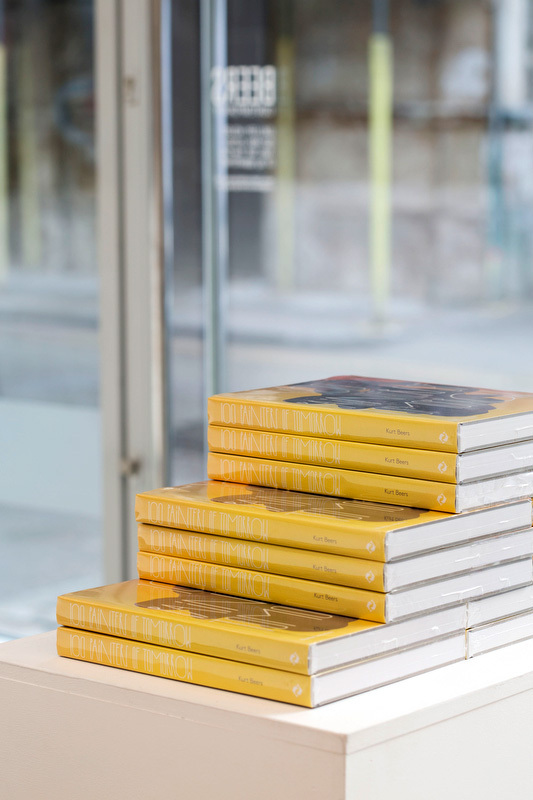 100 SCULPTORS OF TOMORROW is the second book in the series and, like its predecessor, is authored by Kurt Beers, Director of Beers London, and published by Thames & Hudson. The goal of the book is to offer a platform for included artists to reach a wider audience and gain international exposure and critical reception. For the purpose of consideration, ‘sculpture’ refers to any artwork predominantly defined – but not limited by – its three-dimensionality made by carving, modelling, casting or constructing; or any artwork including installation, site-specificity, and which may also include some two-dimensional work, temporal/video-based work, sound-based and/or performance work. The book will feature high-quality reproductions of each artist’s work (see examples of interior), plus short texts that include biographical information and quotations from the artists themselves, to provide greater insight into their ways of thinking and individual creative methods. It will also include other resources, such as a further listing of artists to watch, recommended reading, and individual juror picks. This will be the definitive book on the most promising emerging sculptors currently at work. The 100 artists selected for inclusion were chosen by a jury of professionals in the field of sculpture, through a combination of online open-call submissions, as well as juror recommendation. 100 PAINTERS OF TOMORROW included 53 men and 47 women from 37 countries. The jurors are Anne Ellegood, Senior Curator at the Hammer Museum; Clare Lilley, Director of Programme at Yorkshire Sculpture Park; Jiang Jiehong, Professor of Chinese Art at Birmingham School of Art; Francesca Gavin, freelance writer, curator and editor whose credits include Dazed & Confused, Vogue, and Elle; David Huber, critic, editor, and frequent contributor to Artforum; Natalie King, curator and Senior Research Fellow at the Victorian College of Arts, Melbourne; Stefan Simchowitz, art collector, curator and advisor; and Anita Zabludowicz, UK-based collector and head of the renowned Zabludowicz Collection; as well as author Kurt Beers, Director of Beers London and author of 100 PAINTERS OF TOMORROW. We are happy to announce that all 100 artists have been selected and notified, and the book is currently at the design and production stage. Release of 100 SCULPTORS OF TOMORROW is slated for Spring 2019. For updates please join our mailing list below.